After he hit 11 home runs in 1918, and for the next two decades, stories about the discovery of “The Next Babe Ruth” became commonplace in newspapers across the country. Doyle began his professional career the following spring with the Houston Buffaloes in the Texas League and played his entire career in Texas. “The Babe Ruth of Great Lakes” hit just eight home runs over five minor league seasons. Paschal joined the Red Sox after Charlotte’s season ended in September. He had 10 hit in 28 at-bats, but no extra base hits, and was returned to Charlotte after the season. After four more excellent seasons in the South Atlantic League and Southern Association (he hit .335 with 68 home runs from 1921-1924) he was purchased by the New York Yankees for $20,000 in August of 1924. Paschal was again dubbed the “Second Babe Ruth” by newspapers. His second stint as the second Ruth was longer and more successful than his first. 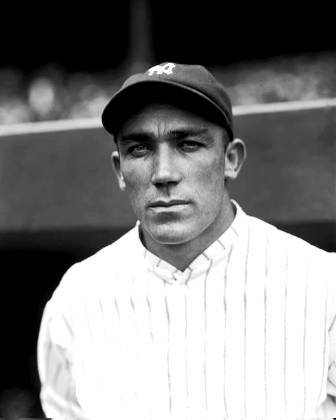 From 1924-1929 he hit .309 in with 24 home runs in 750 at-bats as an outfielder playing behind Ruth and Bob Meusel (Meusel was himself dubbed “Another Babe Ruth” by Manager Miller Huggins when he joined the Yankees in 1920). On Opening Day in 1927 the Second Babe Ruth pinch-hit for Ruth (who was 0-3 and struck out twice) in the sixth inning; Paschal singled, and the Yankees went on to an 8 to 3 victory over the Philadelphia Athletics. The “Feminine Babe Ruth” disappeared from the public eye shortly afterward. And finally, there was “Another Babe Ruth” who had a brief moment in the limelight in the fall of 1920. 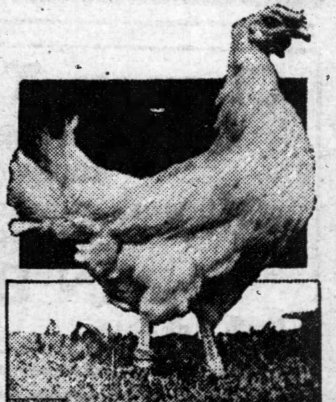 This one was a three-and-a-half pound white Leghorn Chicken who was named “Babe Ruth,” and had just established a new record. There was no report of how she performed the following season.